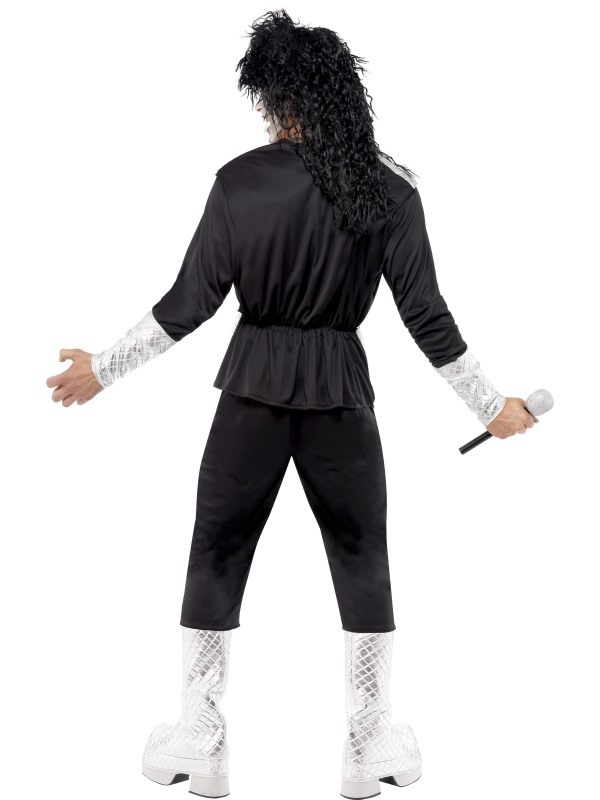 Includes black and silver jumpsuit. 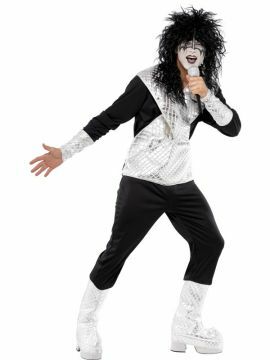 Pair with a mad black wig and black and white facepaint and you'll be ready to rock with Kiss! 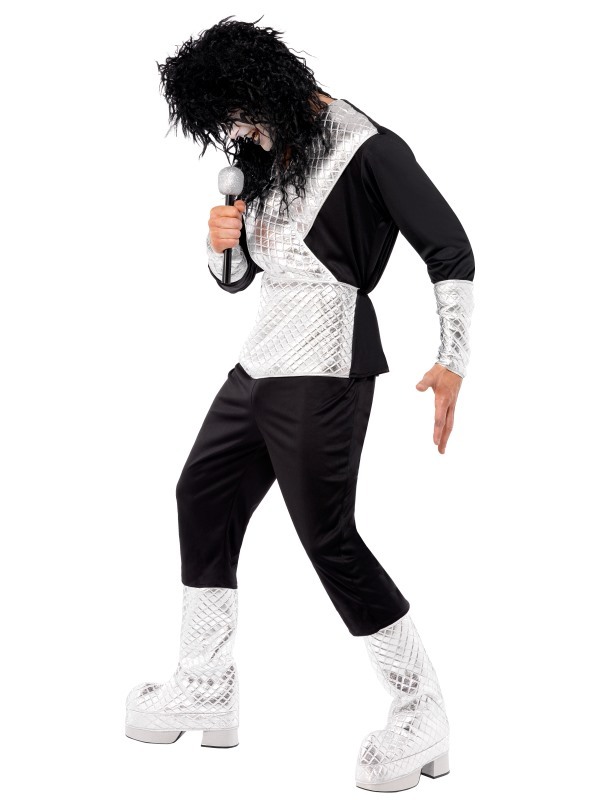 Or go for a Bowie look with plenty of glitter eyeshadow and a short hair style.